If you've arrived here from the Lunch and Learn workshop, you're in the right place! On the call, we talked about how to create content based on what works for you instead of chasing what works for everyone else. I'm working on creating something brand-new (and free!) to help you do just that. 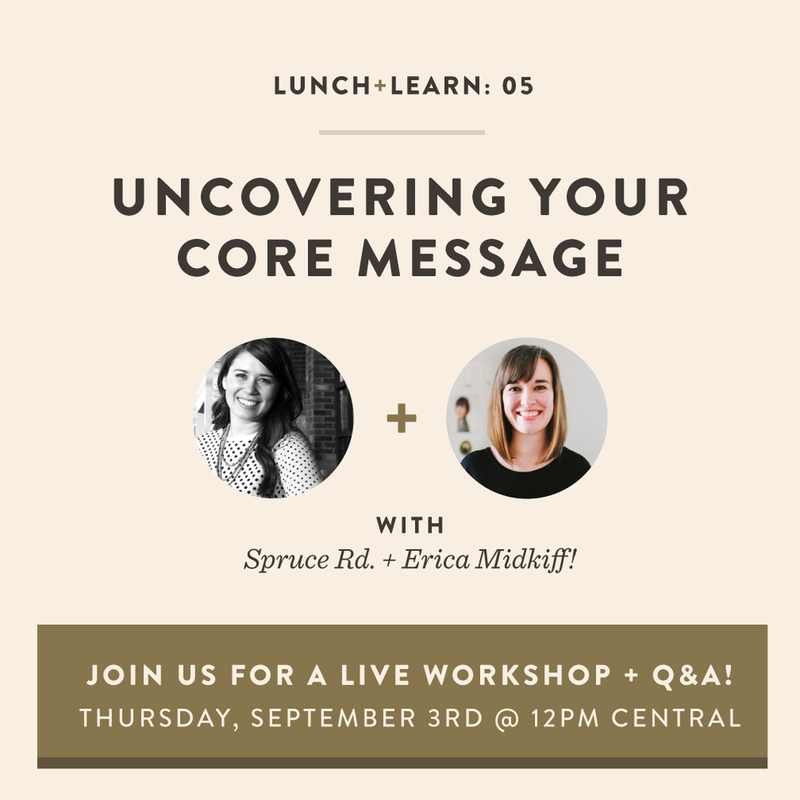 The first two pages give you plenty of room to think about the four questions we discussed in the workshop, and the third page has some fill-in-the-blank statements you can use to start mapping out your own core message! One of my favorite parts about running this business is connecting with others and hearing their insights. Seeing people tap into their inner wisdom truly feeds me, so I would LOVE to hear your core message! If you'd like to share, you can get in touch here. And if you'd like to stay up-to-date on what's happening around here, you can sign up for emails right here!